Paul and Nareni have been together for 5 years and they share the same passion: travelling. They’re happiest when they’re exploring, seeing the world through each other’s eyes and learning from different people and cultures. Nareni says ‘the world is just too big to stop looking at.’ And although the couple were living in different parts of the world when they met and neither were particularly looking for love, fate brought them together. Nareni tells us all about their wedding and honeymoon – made possible with gifts from friends. Paul got extra excited once he had gotten my dad’s blessing and planned the proposal right away in the lakes of Mexico city. We went there to see the sunset for one of our famous walks and whilst he was talking to me about all that we have achieved together and everything we meant to each other, he proposed. 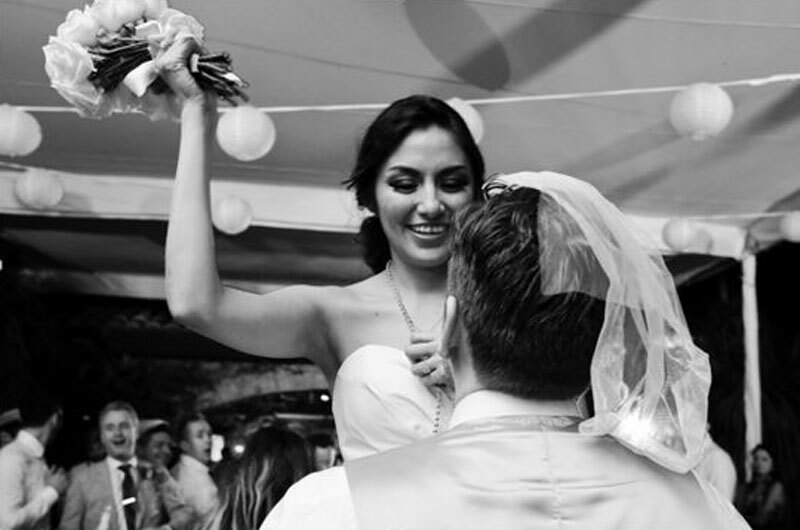 It was the best day of our lives – until our wedding day! Then he proposed again in Eastbourne, when he took me by surprise on a weekend trip and whilst we were going for a hike in the cliffs next to the sea, he popped the question again. Yes, I have two rings and I wear them both! The fact that Paul proposed first in Mexico gave me the opportunity to celebrate with my family, including my grandparents, who are very important to me. I will always be thankful to him for thinking about this when he was planning it. We wanted a wedding with great music and plenty of surprises. 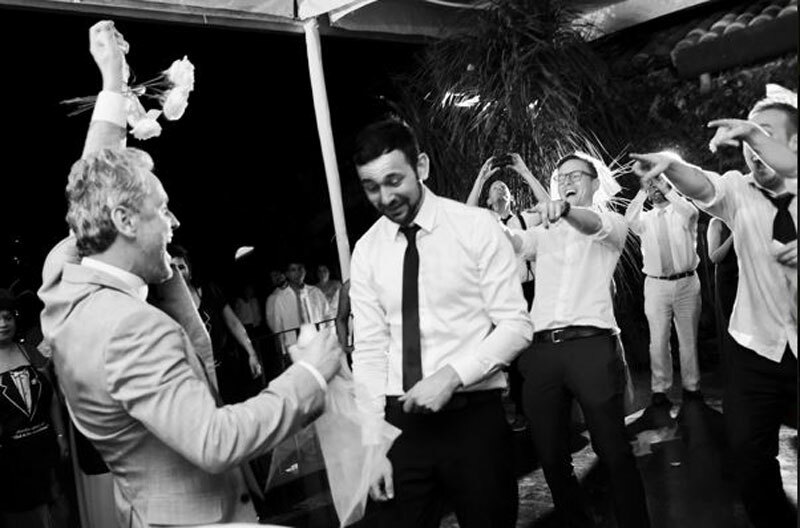 We wanted everyone there – all of our friends and family, and we were truly blessed to see that on the day – everybody came, people flew from all over to be with us on our special day. It was the best day of our lives. The theme took inspiration from rustic temples in the middle of the rainforest, we wanted lots of green (which the venue had already) with flowers and candles everywhere. We wanted ice-cream and Batucada dancing, and a band and yes, of course Mariachi. Plus Irish music as Paul is Irish. We wanted to merge our two cultures together, and we got a great result, just like in our partnership! Ma Cherie Amour by Stevie Wonder and You Are The First, The Last, My Everything by Barry White. And Paul really wanted us to dance to Marvin Gaye & Tammi Terrell – Ain’t Nothing Like the Real Thing, so he asked the band to play the song later for us. We loved the idea of people being able to gift us with an experience. And then to later show them pictures of that experience and say, look! This is thanks to you! Also, we wanted to give people the freedom of giving us whatever they could, as we appreciated the fact that they were all making the effort of either flying or driving for hours to come to meet us on the day. The best gift for us was our honeymoon experiences. So facilitating that through Patchwork was brilliant. 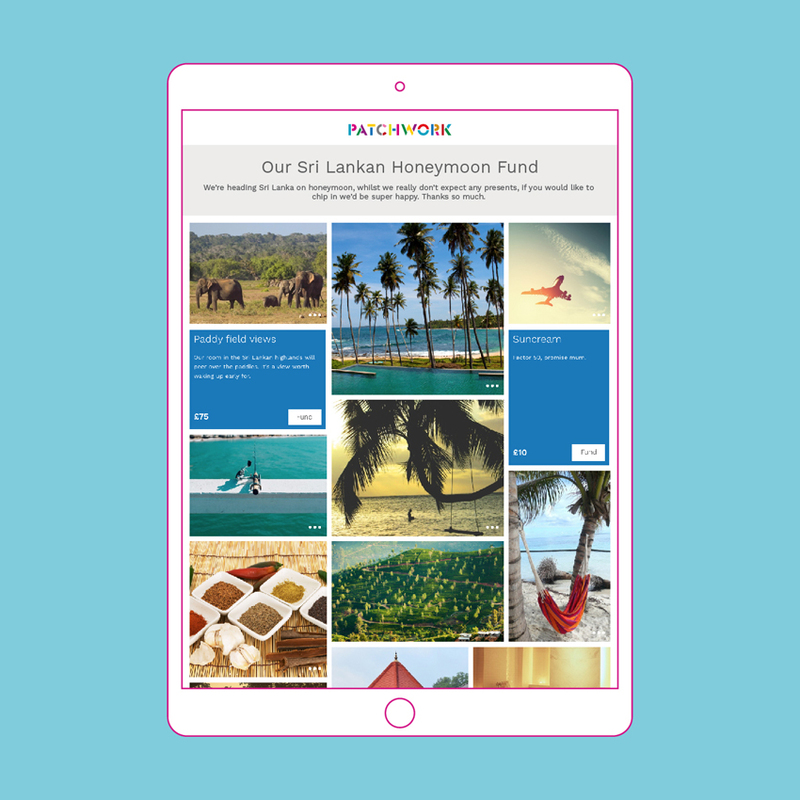 We chose to fund a trip to India and Sri Lanka because we had always wanted to go there – we also thought India was a country that would cherish marriage, so what best time to do this trip but on our honeymoon. And being so close to Sri Lanka we didn’t want to miss it, it was the best! 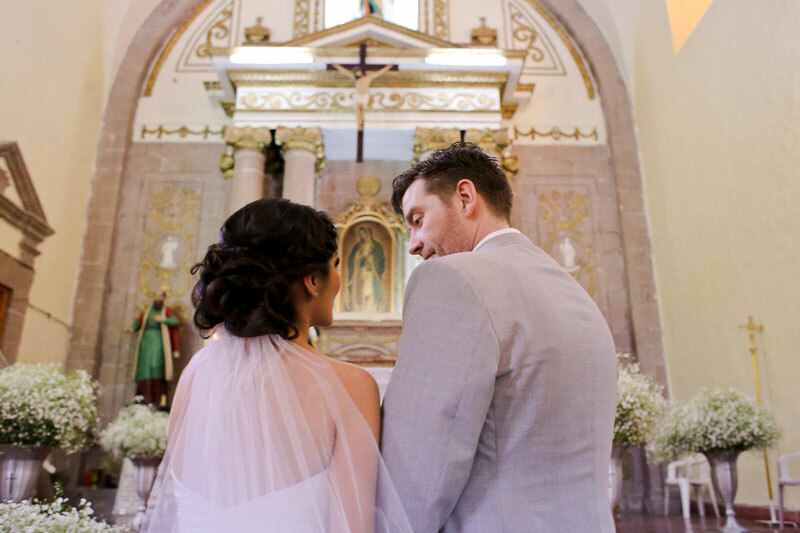 We were so excited when we set off for our honeymoon and pumped up to do it all – to experience everything to the fullest, as people had trusted and wished we would. We loved that you can build up your page with everything you want – it’s flexible so you can add all of the experiences you want or trips you want to do but you can also cater to all budgets. Also, because our friends and family were able to leave us messages and wishes for the day, trip and life, it made the full cycle really cute and enjoyable. Our friends and family thought it looked beautiful and they loved the phrases and creativity we put into it. OMG, yes, it was such an amazing experience, Sri Lanka is such a magical country and India is crazy! We got the best combination, from the mountains and sea in Sri Lanka, with their great animals – the leopards, the whales, elephants, and adventures of the safaris, their people are incredible and so caring, they definitely tried their best to make every day on our honeymoon the best day ever. And in India, going to the Taj Mahal, experiencing the festival of colour and the parties by the beach, going for cooking lessons and then enjoying the feast. The sunsets and sunrises were beautiful, and the way you can do as much or as little in both countries as you want each day, giving you the perfect atmosphere for spontaneity. It was absolutely amazing! Thank you Nareni & Paul for sharing your story with us. And a huge congratulations from Team Patchwork. If this has inspired you to make your own patchwork, just customise one of our readymade patchworks or create one from scratch.